At Big Blue Bug Solutions, we have been a leader in the Rhode Island pest control industry since 1935, and we are now proud to offer residential customers a new product that will take care of insect infestations, effectively insulate your home and help you save money on energy bills all at once! 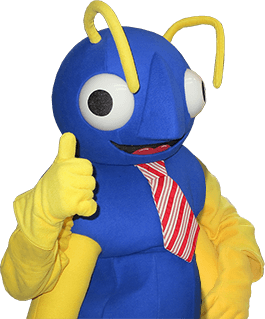 Whether you're replacing old insulation, adding extra insulation to your existing home, or insulating a brand new home, consider pest control insulation from Big Blue Bug Solutions. Save you money! When added to your home's existing insulation or installed in a brand new home, our pest control insulation will help keep the living areas in your home comfortable. This means you can keep your heating and cooling bills from skyrocketing! Absorbs sound! Pest control insulation creates a barrier that will help reduce outside noise such as busy roads and dogs barking from disturbing you indoors. It can also reduce noises from traveling within your home, such as loud music or the toilet flushing. 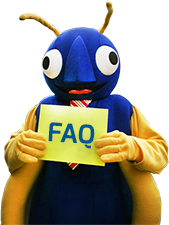 For more information on pest control insulation and how it can benefit your home in Providence, Shrewsbury, or elsewhere in our New England service area, contact Big Blue Bug Solutions today! Did you know that TAP insulation can save you money? Did you know that TAP insulation is beneficial for both new homes and existing homes? There is nothing worse than going through the painful process of buying a home only to have it invaded by an unwanted guest! TAP insulation can help resist these pests and even protect your home from fire! Learn more about the other benefits of this insulation. I just wanted to take a few moments to let you know that your staff was great. Ron Compellone is a great person and very responsible. He did an excellent job preparing the initial treatment for the big problem with mice that we had. We used to have a lot of complaints from staff in various departments daily, but now it looks like the problem is under control. Mr. Pontes, you're very lucky to have such a great group of people working for you. I just wished to take a few minutes to commend your company. Ray and Christopher just completed the quarterly inspection/preventative maintenance. These two gentlemen are truly first class individuals who could not have been nicer and more professional. Again, I wish to thank your company for their continued commitment to quality, service and professionalism."